The most recent report compiled by Future Market Insights, “Global Automotive Wiring Harness Market Analysis and Opportunities Assessment, 2014-2020,” notes that the automotive wire harness market is expected to reach as much as $70.4 billion by 2020. During this period, the Western European market is expected to experience a compound annual growth rate (CAGR) of 8.3%. According to vehicle types, the worldwide automotive wiring harness market has been divided into categories such as passenger vehicle, hybrid vehicle, commercial vehicle and electric vehicle. As a result, the combined global market for commercial and passenger automotive wire is expected to grow to as much as $58 billion by 2020, with the commercial vehicle division registering a CAGR of around 8.5% during the same time frame. When it comes to applications, the wire harness market is divided according to heat, chassis, ventilation, air conditioning (HVAC) and sensors, with HVAC and chassis contributing almost 90% to market revenue figures. Any time that an electronic function is incorporated into a vehicle, it has a negative effect on the overall weight and available cabin space. This is why the downsizing of internal combustion engines (ICE) has become the most efficient way to not only reduce fuel emissions, but to meet (and hopefully exceed) future environmental standards as well. At present, key challenges in the automotive wire harness market are the continually increasing prices of raw materials and price manipulation by leading market players. However, automotive Ethernet can reduce the usage of the more complex harness designs significantly. The growing trend of motorization that has been experienced throughout Asia Pacific has played a tremendously important role in boosting the economy there. This has resulted in extremely strong growth for the automotive industry as a whole, with a particular increase in the demand for vehicle wire harnesses. Stringent regulations, a constant rise in fuel prices as well as a growing level of consumer awareness when it comes to carbon emissions have resulted in the introduction of numerous initiatives from vehicle manufacturers, such as the downsizing of as many internal combustion engines as possible – with little to no sacrifice in overall power or performance. At present, Western Europe is valued at $10.2 billion, which is considered to be the largest global market contributor, and this trend is expected to continue until 2020 when it will reach $16.4 billion. North America and Asia Pacific have shares of 19.6% and 20.5% respectively at present in terms of worldwide vehicle wire harness revenue. Although the Middle East and Africa markets had the smallest revenue share in 2014, it is anticipated that this will improve by approximately 10% over the forecast period. 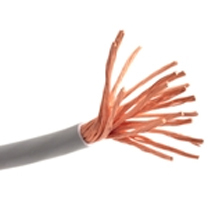 The major market contributors in the global wiring harness industry currently include Sumitomo Electric Industries, Yazaki Corporation, LEONI, Delphi Automotive, Denso Corporation, Lear Corporation, Fujikura Ltd., Samvardhana Motherson, Aisin Seiki Co., Ltd. and the Furukawa Electric Co. Ltd.